Weight loss foods are also 'highly thermogenic foods' meaning every time you eat them it increases your metabolism because your body has to burn a lot of fat just to digest them. Weight loss foods keep your blood sugar levels under control so you'll burn more fat instead of storing fat. You may want to eat every 2-to-4 hours and you can combine these 5 rules with intermittent fasting for faster fat loss. Please Note: Rule 2 says "UP TO 4" so it is okay if you have only 1,2 or 3 meals some days as long as you don't go over 4. 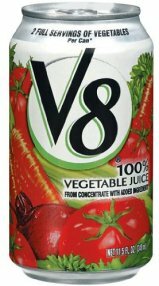 Instead of fruits & veggies + water before meals you can drink 8oz of vegetable juice or V8 instead. Fruit juices don't count since they are loaded with sugar that increases your appetite and not enough fiber to suppress it. ONE hunger killing potato has only 119 calories vs. 'the hunger increasing leading-to-weight gain' potato chips that has 760 calories. Quick tip - Eat slower to lose weight faster: Eating slower gives your belly time enough to tell your brain "Hey, I'm Full, STOP Eating"
Hey man, just wanted you to know your tips and your motivation helped me achieve this. The biggest rule I followed was to drink as much ice cold water as possible before every meal (see rule #3). Still do that to this day. I really watched your food tips, such as oatmeal burns calories. Once I got my metabolism up, it just fell off. Where you'll have to seriously consider tracking your calories so you can see exactly how much you need to eat to keep losing weight at a pace you're satisfied with. I'm 43 at 5'3" weighing 177 lbs. I just had open heart surgery at few months back and now I want to lose at least 40 to 50 lbs. I not one to really exercise but I do little outside work here and there. What type of schedule would be best for me to look ed weight within 4 months? Thank you so very much for your assistance. Thanks for sharing such a great article with us. Keep sharing such a great article that would help everyone. the steps on this page is a good way to start out with how to eat to lose weight but what about working out - any help needed there? Hey im 5 months pregnantand have a 8month old. I want to start on my weight loss journey as soon as I have this baby. Are these tips/calorie counting diets ok to do while breastfeeding? Any advice to take until the baby comes?. Don't deprive your child of nutrients, eat a lot and eat healthy. You get cravings for a reason! Hi, I'm 18, 6'0 and weigh 250 pounds. My family always tell me I don't look like I weigh 250 pounds but I definitely feel it. I want to join the Airforce but to do so I must get in shape. My goal is to lose 20-50 pounds by october so 3 months from now if that's even possible. I don't work because my parents want me to focus on college so I don't really know how I will buy the food i need for the diet. I only have a treadmil at my place to exercise with and watched your 10 minute treadmil exercise video. It looks intense but if thats what it takes to lose all those pounds I'm all for it. What do you recommend I do? 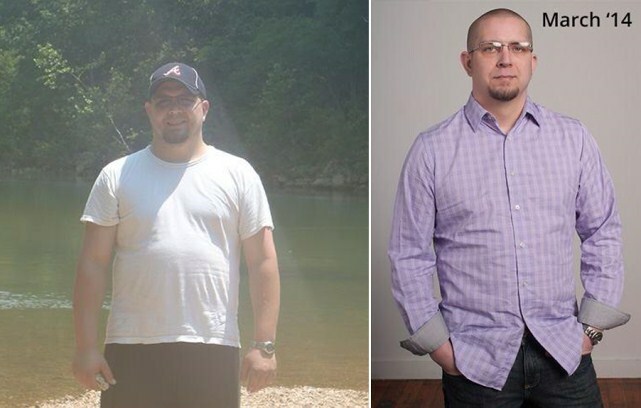 WELL I'm different...I have not lost any weight in years....I am 53 years old and weigh 320 pounds as of yesterday...i am 5ft 3in tall and sit at a computer around 10 hours a day. I feel there is not much hope since i have 2 hern disc, asthma, knee pain from arthritis and joint pain daily. I am about to give up on the whole weight loss journey...i'm just trying to live at this point. I am 33 years old and weigh 465 lbs. I have tried so many diets but can't seem to stick to one. I feel as though I have a food addiction. I always overeat, and it's never intentional. I am severely depressed because with so much weight it has made it impossible to have children. My menstruation is very irregular. I am also diabetic with an A1C of 8.7. Do you have any suggestions for me. 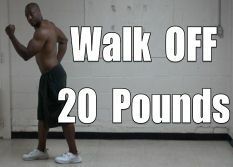 As far as exercise, I can do some walking and weight lifting. I also love swimming. Any advice would be appreciated. do you think you can do the diet plan on this page? have you ever tracked your calories? hi there Adrian im 36yrs old weighing at 243lbs we have a bet at work and another co worker is about at a tie with me on lbs lost so far its 12.5lbs lost and need to lose as much weight as i can by this tuesday 5/22/18 I started the military diet Wed.on 5/17/18 so far so good and im drinking about 2 gallons a day so far. please help its a $500 bet I would like to bring home to my kiddos. I am going to have surgery on my ankle I was told there is so much damage I won't be able to run, CrossFit or Kickboxing anymore. I will have to change up my workout routine to yoga, stationary bike, elliptical, walking. I am an active person what routine can I do with these options to keep off the weight. Hi Adrian! What are good foods to boost my metabolism to burn calories/fat? I am 47 and I need to lose 40 pounds. 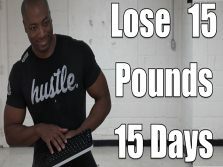 I need a jump start and want to the weight loss to consistently come off. 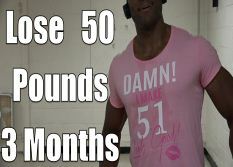 I want to accurately be able to fill out the lose 50 pounds in 5-8 months. What would the activity qualifiers mean? I am active throughout the day; I am a stay at home mom. Would I qualify as the 3-5 days exerciser? or What? I do workout in addition to "mommying" about 3 days for about 40 minutes. And just for informative purposes what would classify as a hard exerciser? would these options work for you? Alright so I'm 17 and my senior prom is in May the problem is is that I'm a full time student and band student afterwards. I'm 260 pounds and I want to be back under 200 before prom. Is there anyway I can do this? Hello Adrian I need to loose 50 pounds fast. I work a 4:45 am to 1:45 pm work shift at a call center and I want to do the intermentent fasting option to loose weight fast and keep it off for good. ok. are you able to workout as well? Adrian, if I have been eating very lightly, am 55, and female with 30-40 lbs to lose, and bone on bone knee, is there a different way I should be starting in terms of what I eat? A year ago I was more toned, and in one year all my clothes are tight again. I really want to feel better is there a jump start to just get a few lbs. off in the next couple of weeks? thanks! Hi Sir. I am currently on an intermittent fasting program. Is it okay to drink green tea with lemon/lime/calamansi? I am a bit hesitant on this but I cannot drink plain teas. Hi im Treyvon and im 5'10 and 185lbs. Im trying to lose 20lbs for the ceromony im going to. What choice is best to get this done in between 2 to 3 weeks? Hi adrian .my name is jai i am from india. I weigh 249 pounds.i have a lot of belly fat and i have also tried hiit workouts but i not losing a lot of weight please recommend me something.Thnx in advance. what kind of a diet are you on? have tried the diet on this page? I am a 5'7, 39 years old female. I am currently 215 lbs. I would like to lose 35 lbs. I do not have a gallbladder & it has been hard for me to lose weight. What type of diet should I use to lose weight? Thanks in advance for any suggestions. I am 5'5 female weigh 163lbs and I'm 25yrs old. I am trying to lose weight but it seems that i am just maintaining it. I do workout daily for about 45mins and i eat less than 2000 cal a day. What else could i do? On my fitnesspal app, a biscuit was 0 calories....... Is that possible?